While you can spot Catalina Island on a clear day from nearly any west-facing Southern California beach, hillside or skyscraper, there are plenty of other places to feel the island’s influence. 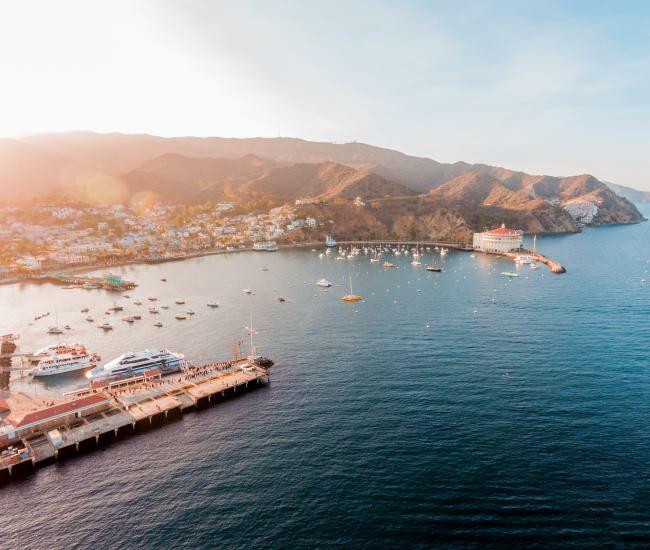 Here are 9 places to find Catalina when you’re not on Catalina. In song – The most famous Catalina song is the Four Preps classic “26 Miles.” With its infectious refrain of “the island of romance, romance, romance,” this popular melody made Santa Catalina a national treasure for millions of music fans – even if they never had any intention of visiting. While the 1957 melody may be the most well-known, it’s far from the only reference to Santa Catalina in song. Al Jolson’s classic “Avalon,” began to tell the story of the island as a destination for love and the line in Crosby Stills and Nash’s hit “Southern Cross” about a “noisy bar in Avalon” is widely considered to reference either the Marlin Club or the Chi Chi Club. In Film – Hollywood has long found Catalina Island irresistible and the popular Southern California destination can be found on screens both big and small. Catalina makes an appearance in dozens of movies, including classic films like Chinatown and the Glass Bottom Boat. More recently, the cult comedy StepBrothers, made the fictional Catalina Wine Mixer so popular that it became a real event, now held in September at Descanso Beach. On the small screen, Catalina Island has played a role in shows as diverse as Growing Pains and Airwolf, which had an episode where the Catalina Casino was blown up. Reality shows like The Bachelor and The Bachelorette have used the romantic reputation of the island to their advantage. And recently, Beach Bites and Island Life showcased Catalina food and Avalon real estate respectively. On location – Catalina Island hasn’t just portrayed itself on film. From the early days of Hollywood, the island’s exotic allure and proximity to the major studios’ backlots have made it a popular stand-in for destinations like the South Seas, the American frontier and the Eastern seaboard. Tile and pottery – One of Catalina Island’s most famous exports has been its Catalina tile and pottery, which were crafted on the island from 1927 to 1937. The decorative pottery pieces and colorful tiles continue to garner high prices online and can be found in collections throughout the country. One of the most famous locations to find Catalina tile is at the Arizona Biltmore, where the Catalina Pool enjoys a storied reputation – it was purportedly Marilyn Monroe’s favorite spot to sunbathe. The pool gets its name from the blue and gold tiles imported from the island. Catalina tile is not the only tile that provides a nod to the island -- sharp-eyed Catalina fans have found a tile Catalina Casino in a mosaic mural at the Disneyland Resort in Anaheim. 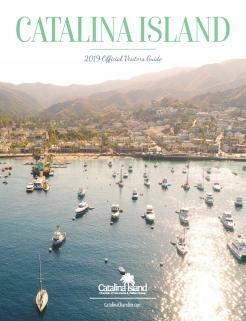 On the Page – Catalina Island is represented on the pages of dozens of books. Fans of the island can explore its history, biology, dive sites, ecology, ghost stories and much more in a wide range of non-fiction. Catalina also makes an appearance in an array of novels, from self-published vanity projects to best-sellers written by the likes of Michael Connelly and Stuart Woods. Aquarium of the Pacific – Long Beach’s renowned aquarium features a spectacular three-story marine habitat. Home to seabass and leopard sharks, garibaldi and moray eels, this show-stopping kelp forest is inspired by Blue Cavern Point, a popular Catalina dive site. Art – Catalina’s dramatic cliffs and spectacular seascapes – along with Avalon’s picturesque environs --feature in thousands of artworks in homes and collections around the country. Denise Burns, Gary Miltmore, Ruth Mayer and Snake Jagger are just a few of the many artists who have immortalized the island in their works. One of the best ways to experience – and perhaps purchase – some of the best Catalina art is to visit an art show. In mid-September, the Catalina Island Festival of Art brings dozens of artists to the island, offering the ideal environment to find a perfect piece of Catalina to take to the mainland. In October, you’ll find Catalina art already on the mainland at the Wild Side Art show, a fundraiser for the Catalina Conservancy held at the Newport Harbor Yacht Club. Featuring 11 nationally-recognized plein air painters, the show offers a unique opportunity to raise funds for the organization responsible for preserving the island. Postcards – For more than century, visitors to Catalina Island have been sharing – and showing off – their travels. Catalina postcards offer a fascinating chronicle of the evolution of the island as a tourist destination, showcasing attractions, activities, vistas and more. While modern-day postcards continue to connect and inspire, historical postcards have become a window on the past, appearing in private and public collections – including the Library of Congress. On feeds everywhere – Catalina Island offers hundreds of exceptionally Instagrammable locations. 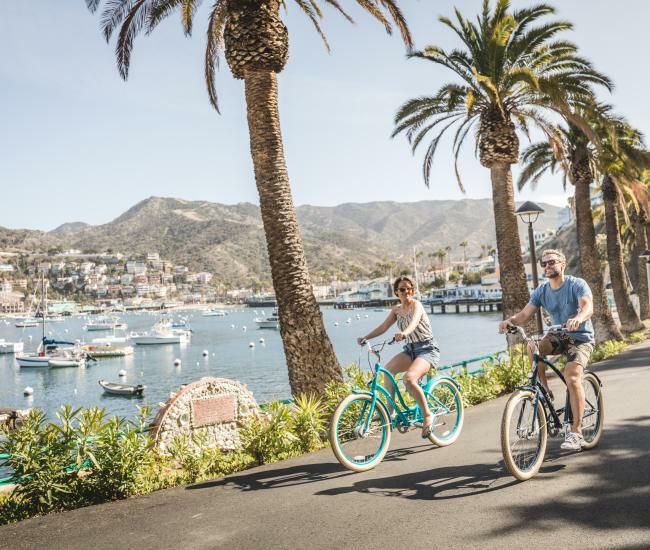 From isolated peaks on the backside to quirky dive bars and from high-octane activities to cocktails on the beach, the things to do on Catalina call out to be Instagrammed. 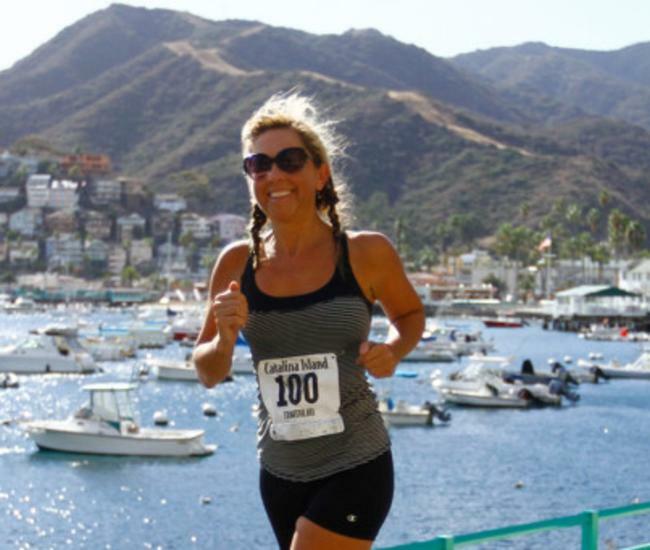 Plan your next adventure and let your mainland followers find #CatalinaIsland, and follow us on Instagram at @catalinachamber.